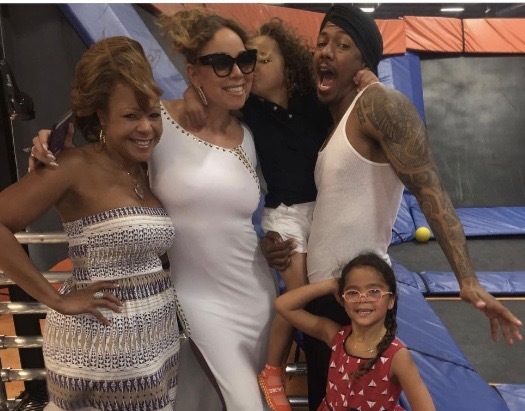 *Days after releasing a seemingly autobiographical track called “Divorce Papers,” Nick Cannon joined his soon-to-be ex-wife and their kids at Sky Zone on Sunday to celebrate Father’s Day. As previously reported, Cannon’s “Divorce Papers” features lyrics that suggest he’s having trouble seeing his twins on a regular basis. Whatever the case with their marriage, the couple set aside their differences so that the kids could be with their daddy on his day.